Crestron, a world leading company within the field of home automation, have in the past few days unveiled and outlined a range of their new product offerings. The new product lines were rolled out and demonstrated at the company’s latest Residential Summit in the USA and included their new Crestron Pyng OS2 platform. 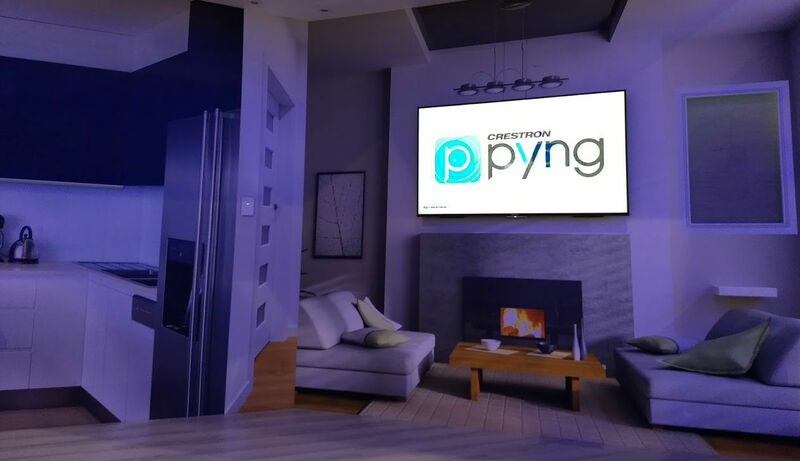 Crestron Pyng OS2 is described as the company as a no-programming-necessary, lower cost solution that controls not only smart home functions like lights, HVAC, audio and shades, but also now video, including Crestron DigitalMedia solutions. That makes Crestron Pyng OS2 a significant change of direction for Crestron, who previously had been known for heavy-programming-required whole control systems. The new platform, too, allows integrators to select any of an array of wired and wireless dimmers, switches, keypads and shade motors, making it simple to pair devices together. Crestron Pyng OS2 also supports the new line of Crestron Horizon keypads announced by the company, as well as integration of video control and DigitalMedia products. Those Horizon keypads were among a range of other new products unveiled at the Crestron Residential Summit. Alongside the Horizon keypads themselves, Crestron also introduced a series of Horizon accessories, including wallplates and outlets of various types. The company also unveiled a new high-power universal dimmer to complement its previously announced dimmer. Named the CLX-1DDIMU4-HP dimmer, Crestron revealed that the new solution can it handle up to 10A (1200W) per channel, making it suitable for a larger room with lots of canned lights or even chandeliers and other fixtures that require more power. If you would like to discuss your requirements for Crestron home automation solutions please call us on 0800 195 4825.